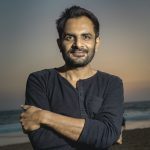 I am Amrit, a photographer, operating across India (and abroad occasionally). You can write to me at amrit.vatsa@gmail.com and call me on +91 95525 89252. I also make documentary films. When not traveling, I live in Goa. What does it take to save lives of the poorest? When children decide what they want to do!